SVOATS? Sounds a bit like an up and coming bar or restaurant..but in actual fact these are porridge oats like you’ve never tried before. 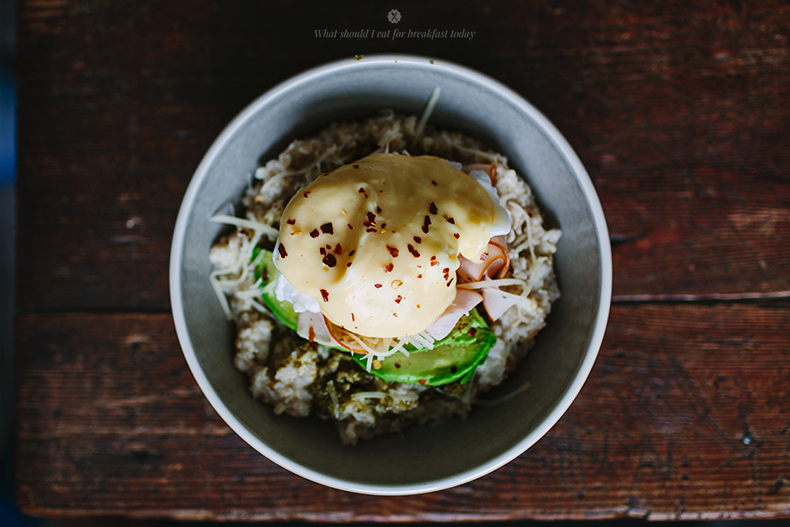 Move over the avo toast, smoothie bowls and poached eggs, please make way for Savoury Porridge! Now we’re not talking just adding a pinch of salt Goldilocks style..
SVOATS are bowls of ridiculously tasty, warming, healthy and filling goodness. Don’t get us wrong we love our Giving Tree topped porridge with all the trimmings. But with the Winter months still very much upon us, and it can get repetitive having the same breakfast every morning we thought it was time for a little bit of change. Now, you probably have alarm bells ringing and thinking, I can’t possibly confuse my tastebuds this much. However, just trust us when we say you won’t regret it with these wondrous recipes. Not only are oats tasty, studies have shown that eating oats may help lower cholesterol and reduce the risk of heart disease. They are a good source of protein, complex carbohydrates, iron and full of both soluble and insoluble fibre helping keep you full and also to keep things moving. Go on, be a rebel and try these SVOATALICIOUS recipes.. In a pot place oats and water, season with salt and pepper and cook for about 10 minutes on a medium heat. When it’s thick and cooked, it means it’s done. Mix in a tablespoon of pesto into it. 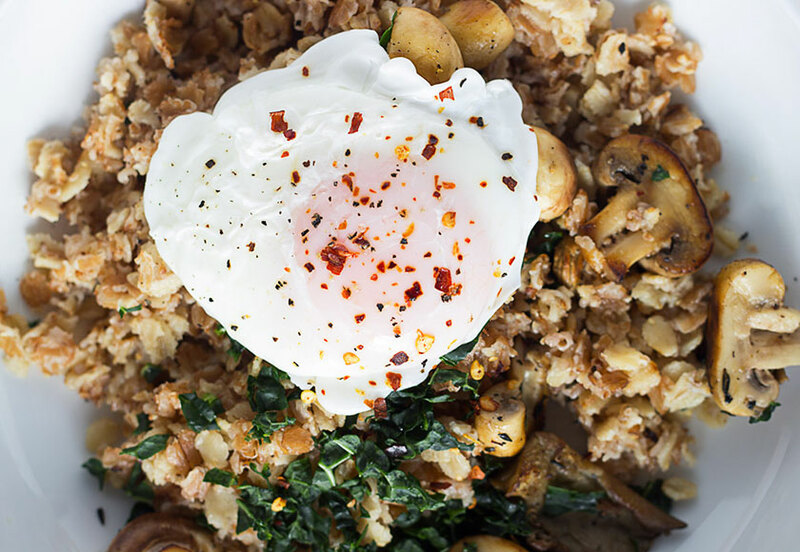 Making a poached egg is not the simplest thing in the world, but it’s not as difficult as we think. It helps to add 1 tablespoon of vinegar and ½ tablespoon of salt to the boiling water and then, just before adding the egg, you need to stir the water (you can always replace it with a soft boiled or fried one). First you need to melt the butter (don’t heat it too much), meantime mix all the other ingredients in a bowl until the colour lighten. Very slowly add the butter and blend it until everything nicely connects. Your hollandaise sauce is ready! 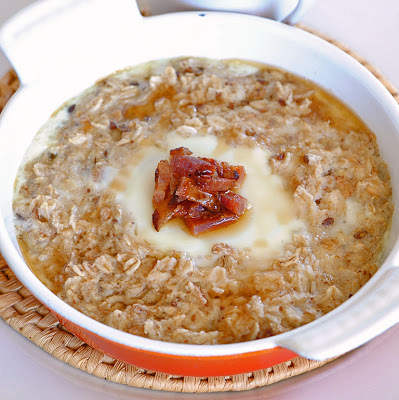 Make a little portion of porridge with salt and pepper (you can add whole egg while you cook it) and a poached egg. Serve it with some good ham, pour a hollandaise sauce on a top, avocado and sprinkle with a pinch of cayenne pepper. Fill oven proof dishes with the cooked porridge (a little butter inside doesn’t hurt too) ramekins would work well. Make a little well for the egg and crack it right in. Bake in a preheated oven at 180 degrees for approx 15-20 mins. your cooking time depends on the temp of your cooked porridge (your porridge should be warm), the type of dish, and how you like your egg. We know everybody likes their eggs different so just keep checking the middle ’till it is to your liking.. remember it will keep cooking a little bit after you take it out, so if your not serving right away take that into consideration. While they’re in the oven, crisp up your bacon get it ready ( we fried ours with a little coconut oil in a frying pan). If your not into bacon or don’t want to fuss with it some toasted pecans or almonds would be yummy…you just need something that will add a little crunch and texture. Boil the kettle with 250 ml of water or bring to a boil in a pan. In a separate pan melt your coconut oil on a medium-high heat. Add the spelt and the oats and stir to coat. Reduce to a more medium heat and stir occasionally, making sure all the flakes are getting nice and toasty evenly. Toast for about 5 minutes, and once it’s lovely and fragrant (I think it starts smelling like popcorn!) carefully add in your boiling water – and be careful, as it’ll splutter!